I have this nice picture of the Hazel tree from just down the lane. 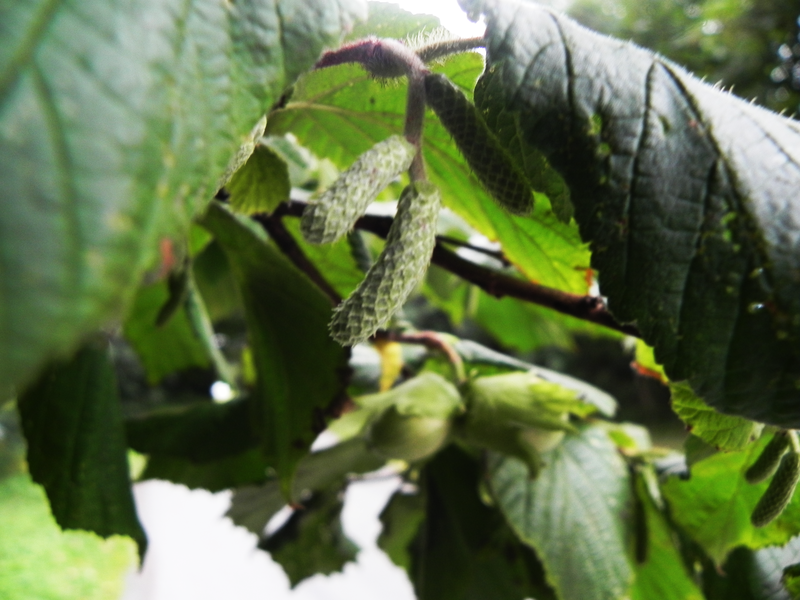 If you look you’ll see that, even though the nuts are not yet ripe, we have nice new catkins starting to form. I wondered what I could tell you about the Hazel today. We’ve looked at Hazel two or three times, so it needed to be something we haven’t touched on before. So I asked Google to have a look around and see what he could come up with on coracle building. Well, it turns out that, as a general rule, coracles are built of whatever is to hand but mostly willow. So no Hazel there then. But while I was looking at those funny, flimsy cockleshells that our hardy ancestors put to sea in, I came across Prince Madoc, another Celtic hero, but a Welshman this time. Prince Madoc came from a large family and when his Dad died civil war broke out amongst the siblings – to decide who’s turn it was to play king. Eventually he became bored with all of this or maybe he noticed he was loosing more than he won, so he decided to sail away and discover America before Columbus got round to it. Apparently he did that – and he sent back for more of his folk. They went off and disappeared into the pages of myth and legend. In spite of the fact that no one knows anything about his actual destination, we have a large body of literature covering his adventures in America. Maybe he sent a text.